Ever since Jeff Spears came to campus as housing director, his goal was to continue to upgrade residential life socially and physically. Each year, residential life executes activities for its residents, with constant renovations and remodeling taking place in the facilities each summer. 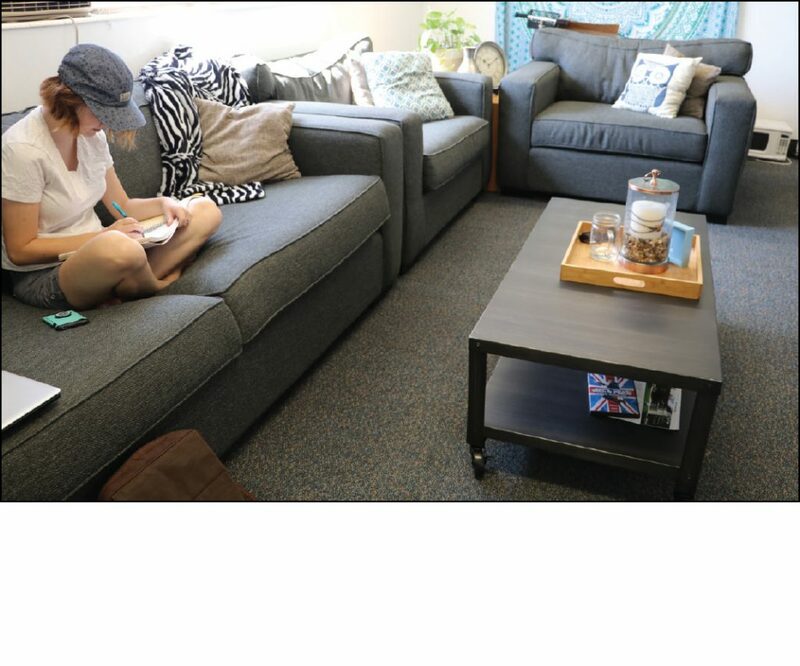 This past summer, residential life spent $50,000 on upgrades in two of the residential life halls. With this funding, Spears’ goal was to upgrade the furniture in Tucker and Burtenshaw residential halls. It was a split between housing and one-time funding from the budget committee. We are grateful that we have an administration that cares about how the halls look when students arrive. Vice Chancellor Greg Dart had been a huge advocate for upgrading the halls to make students more comfortable. “First, it sends a message to the university that we care about how the campus looks for the students. “Second, it makes campus a home away from home. The small things matter. Those couches are comfortable could be used for homework, sleeping, or entertaining. The kitchen is finally completed and students can use the kitchen this semester. “We have also purchased more beds to replace the older ones in the halls. I will be looking at refelting and possibly purchasing new pool tables,” Spears said. Burtenshaw bathroom floors were all replaced with tile and new couches were added in the lounge. The kitchen on the first floor was completed with the addition of a stove. Tucker residents all got new couches and tables in the front area of the apartment-style units.